This week, Your News to Know rounds up the latest news involving precious metals and the overall economy. Stories include: 2019 could be gold’s year, silver’s versatility could boost prices in 2019, and long gold is Goldman’s favorite commodity play. And while the greenback remains fairly robust, gold’s fundamentals appear to be more so. Different analysts have pointed out that recent stock market wobbles have caused a familiar flight to safety among investors. Some experts view these equity lapses as the first signs of a looming crisis, further strengthening the case for gold. Suki Cooper, a precious metals analyst at Standard Chartered Bank, thinks 2019 could be gold’s breakout year. Cooper expects any pullback in prices to be temporary, as her bank sees the metal holding firmly above $1,300 for most of the year. To many, this is a bullish indicator as $1,300 an ounce represents a key resistance level. While Cooper’s bank sees gold trading around $1,325 in the fourth quarter, the analyst thinks that the metal could just as likely reach $1,400 towards the end of the year. Jim Steel, head of precious metals at HSBC, also reaffirmed his bank’s optimistic stance on gold. Steel said that as many as 23 central banks bought gold in 2018, a highly supportive trend that is likely to continue. Along with an increase in Asian jewelry buying, Steel said that a return of volatility will be a main ingredient in gold’s rise. Trade conflicts are another bullish prospect for the metal, as diminished trade leads to higher inflation, a weaker dollar and weaker assets, which are all beneficial to gold. HSBC predicts that gold will hit a high of $1,350 this year, and that 2020 could be even better for the metal. Silver’s versatility is often cited as one of the main reasons for owning the metal, as the plethora of buyers assures a steady source of demand. Yet a recent Bloomberg analysis showed that silver’s many uses could soon deplete the metal’s reserves and cause a spike in prices this year. Silver prices already climbed 9.1% in December, the highest gain in nearly two years, as investors began to turn to safe-haven assets. The real gains, however, could come from a combination of high manufacturing demand and a lackluster supply picture. Bloomberg’s survey of 11 traders and analysts saw a consensus that silver could spike up to $17.50 this year as global economic uncertainty prevents miners from starting new projects. Robin Bhar, a London-based analyst at Societe Generale SA, predicts that 26,000 tons of silver will be produced this year. If true, it will be the lowest figure since 2013 and guarantee that demand continues to outstrip supply. “Supply growth has started to slow, more than for any other precious metal,” noted John LaForge, the head of real assets strategy at Wells Fargo Investment Institute. This comes as industrial demand for silver, which accounts for 55% of the metal’s overall demand, is expected to intensify. Bloomberg Intelligence analysts Eily Ong and Tobias Nystedt believe that manufacturing demand for silver in high-end electronics will give the metal a 50% upside by 2023. In the meantime, silver is sure to benefit from geopolitical tensions and possible dovish changes in Fed policy. 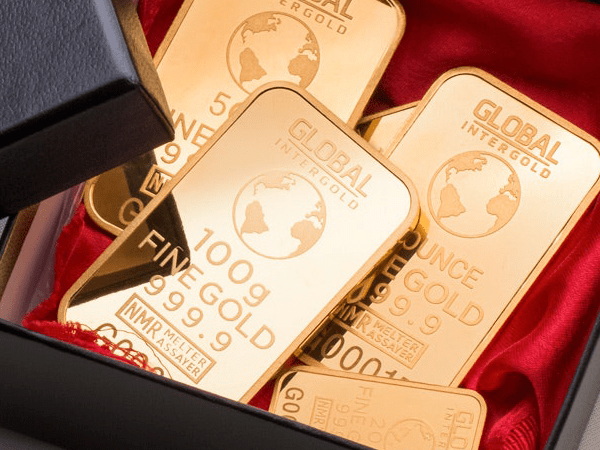 Both gold and silver have performed exceptionally well in the past two months as volatility made its comeback, and the trend of heightened interest in precious metals will likely continue throughout 2019. According to Jeffrey Currie, global head of commodities research at Goldman Sachs, long gold is one of the best plays investors can make as risk aversion becomes the theme of 2019, reports Kitco. Currie affirmed gold’s position ahead of other commodities, stating that recessionary fears and heightened central bank purchases will give a heavy boost to the metal. Having previously called for $1,425 this year, Currie now sees gold shooting up to $1,450 as defensive appetite strengthens. With weaker-than-expected global growth and historically-recessionary central bank policies, concerns that another crisis is on the way could be validated. Past that, Currie reminded investors that gold’s price, like other assets’, increases when there is heavy buying. Last year’s central bank acquisitions certainly qualify as that, as governments around the world blew away previous forecasts with their bullion purchases. Currie singled out India’s 70-ton gold acquisition in 2018, together with an expected increase in buying by the People’s Bank of China. Bart Melek, the head of global strategy at TD Securities, agreed that central bank gold demand will play a key role in gold’s upcoming upturn. Having increased their holdings by 3,900 tons, or 13%, since 2009, central banks are expected to buy an additional 800 tons in the next two years, with defense and diversification as the primary motives. To Melek, this could have a dramatic effect on gold’s price and push it above the already-bullish predictions.